I bought this ages ago and keep meaning to blog about it, I wasn't going to pick anything up from the collection but found myself having a look. Once I saw this was the last I grabbed it and had a little play with the tester before caving in and buying it! I also bought Blushalicious from Collection 2000 after ready Holly's review on this. This is very pigmented and you need a very light hand when applying this, I think the reason I caved in was because I don't actually have a warm shimmer like this. I know Mac brought out a similar shade in their Semi Precious collection called Goldstone, I would love to know if these are similar shades.I've been wearing this very lightly over the top of Mac Springsheen and love the rosy gold effect this creates. I can't remember how much I paid for this but think it was roughly £4.90ish?? I just checked the Boots website and it must be sold out now. Where you lucky to snap one up? Next up is Blushalicious which looks very similar to Givenchy Le Prisme Blush but at a fraction of the price! I like all the shades separately and also all swirled together. I did find this one not to be as pigmented as I would've hoped so I'm not sure if it's just this one. Has anyone else found this or tried this? 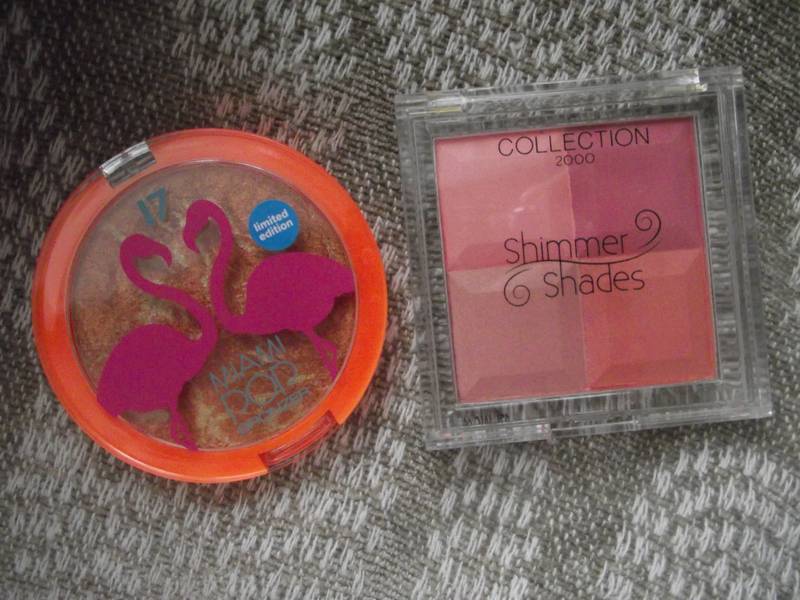 Sadly I didn't find this one very pigmented and the swatches looked rubbish so I've left them out. I have found myself scraping the tops of the powders to try and get more pigment, I'm not sure if I've got grease or something on them? It's a shame because this is very good value and only cost £4.19. Have you got these? How do you wear them?